Album av 99 bilder walk-rundt av en "Republic F-84 Thunderjet"
Bildegalleri av en Republic F-84 Thunderjet, The Republic F-84 Thunderjet was an American turbojet fighter-bomber aircraft. Originating as a 1944 United States Army Air Forces (USAAF) proposal for a “day fighter”, the F-84 first flew in 1946. 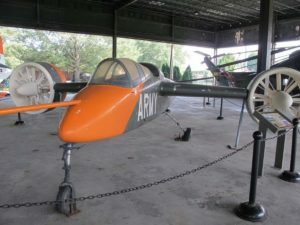 Although it entered service in 1947, the Thunderjet was plagued by so many structural and engine problems that a 1948 U.S. Air Force review declared it unable to execute any aspect of its intended mission and considered canceling the program. The aircraft was not considered fully operational until the 1949 F-84D model and the design matured only with the definitive F-84G introduced in 1951. 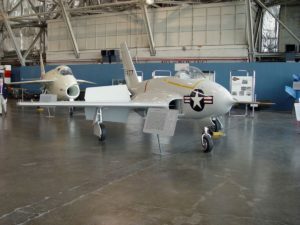 In 1954, the straight-wing Thunderjet was joined by the swept-wing F-84F Thunderstreak fighter and RF-84F Thunderflash photo reconnaissance aircraft.